This is what the once talk-of-the-town billionaire business man and owner of Atlantic energy used to look like. 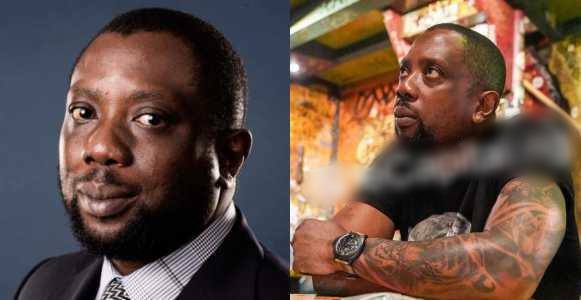 He was declared wanted by the Nigerian government alongside Jide Omokore in 2016 for allegedly cheating the Nigerian government by using Shell Company to buy luxury yacht, 132 houses, 58 cars and three airplanes. This was until the Nigerian government declared him wanted leading to the US government seizing a lot of his properties worth a whooping $144million. Some of his assets in the UK were also seized. He has also since gone into hiding and no longer mixes with the rich. Also gone are Kola Aluko’s throng of hangers-on and hero-worshippers who used to benefit from his largesse. Kola, who turns 49 next week, looks different these days and has covered his body in tattoos.